Gherkin's Bucket Yarn Pet Kits are officially here! Grab a kit for yourself or to accompany that special skein you're giving as a gift! I know how stressful it can be trying to plan out the PERFECT project for that special yarn in your stash. Sometimes you just wish you could ease the pressure a little and take the time to enjoy the yarn in its current and untouched state. The question during checkout, "What will you make with it? ", makes you cringe with indecision and shame - who knows what this yarn will become?! Do I have to have a plan?? Can't I just enjoy the yarn as an art form in and of itself?! Now you have an answer. 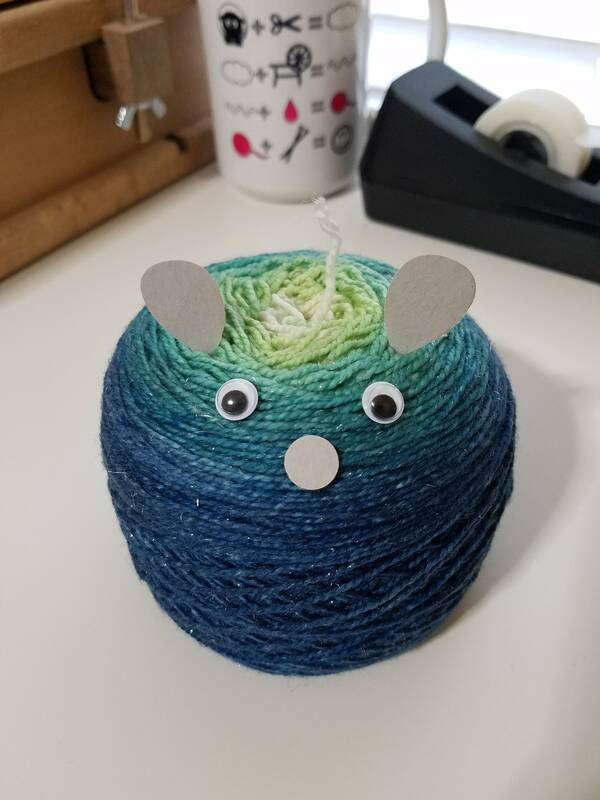 It can be your Yarn Pet. Yes, those of you who've seen me at local trunk shows may have heard me talk about this idea before, and now I'm ready to make it real for you. Perching your perfect purchase upon your desk, nightstand, coffee table, bookshelf, etc., and declaring it "complete" and "made" is now within reach. No more must you cower at checkout! 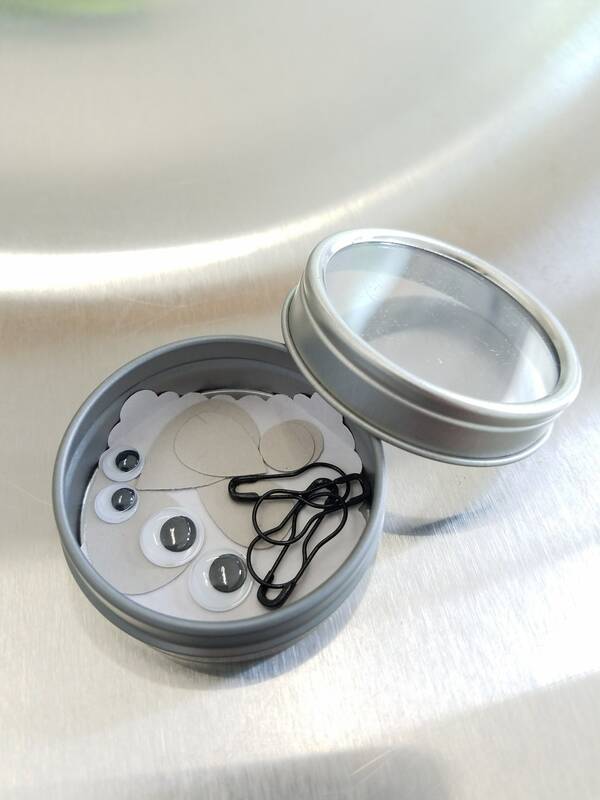 No longer must you hide your beautiful yarn-babies away in your cabinets and drawers until they can be "used"! Bring them out, bring them out, and make them your pets. ...Ok, maybe I'm teasing a little, haha! But the fun is no joke! 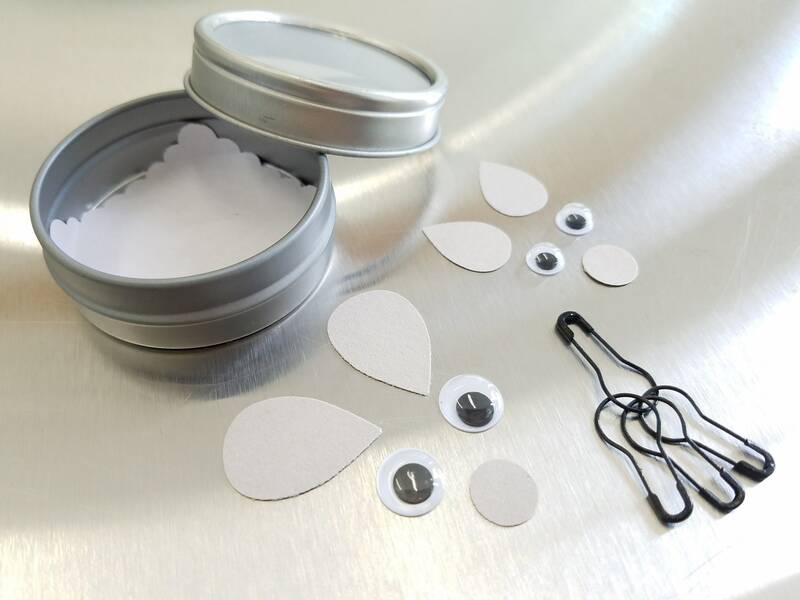 In each reusable metal tin you'll receive 2 GB Yarn Pet sets (a set = a pair of ears and eyes + a nose), in Large and Small, plus 4 removable stitch markers (fits up to US 10.5/6.5mm needles). It's everything you need to adorn your newest yarn or fiber addition!